Corporate leaders understand that every once in a while, we need to take a break and let our teams have a little fun together. 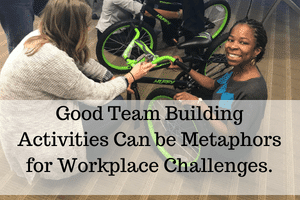 We know that these activities refresh and inspire coworkers to work together. However, there are a number of surprising reasons that team building is a good investment. These ideas may not come to mind right away when you are organizing your annual meetings or conventions. If you understand the intrinsic return on investment that companies receive by letting your group have some fun together, though, you can make more informed decisions about these activities. You’ll also find it easier to determine what will work best for your group. When Your Team Has Fun Together, They Work Better together. Purposefully Shape the Culture that You Want to Create. 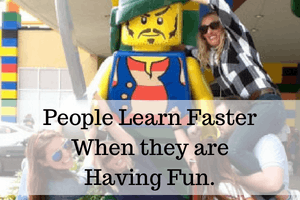 People Learn Faster When they are Having Fun. 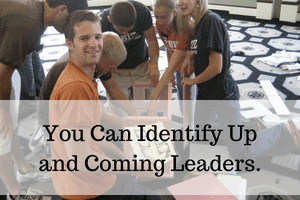 You Can Identify Up and Coming Leaders. 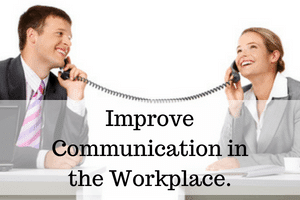 Improve Communication in the Workplace. 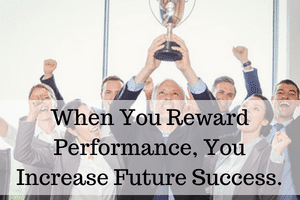 When You Reward Performance, You Increase Future Success. I remember back in the dark ages when I was in High School. I had a part-time job was working for Chick-fil-a. One evening, a group of us decided to go to a movie together. We invited the boss’ son, Andy to join us. When we all arrived at the theater, though, we were surprised when both Andy and his dad showed up. I remember pulling Andy aside and asking him, “Andy, why did you bring your dad?” Andy just smiled and said, “Well, he’s paying for the movie,” and he did. We had a great time, and that little gesture of goodwill from my boss stuck with me. It was a hard job, but I still keep in touch with many of those people that I worked with. That was decades ago. That camaraderie built friendship, and the friendship built productivity. Having conducted thousands of different team building activities, I’ve learned a few things that are universal. You can’t force fun. If you want an activity to create a five-star experience, you can’t be overt teaching during these activities. Lessons have to be subtle. A fantastic way to do this is by creating a metaphor for a challenge in the workplace. Then, we use satire and exaggeration to allow the participants to laugh while they are learning. A good example of this is our Build-A-Bike ® program where we create a metaphor for the “Silo Effect”. This is one of the main reasons why the event is so popular. We always tell the group right up front, “It’s not a competition.” Of course, the group always laughs. Of course they begin to think of the event as a competition. Each of the small groups must work together to earn each part of their bicycle. Before long, though, they realize that if they communicate with the other teams, the answers are easier to come by. In fact, if the entire group works together, they’d accomplish the tasks in minutes. But, the competitive nature of the groups make them want to finish before the other teams. It’s hilarious when they realize that the answer they have been struggling to find was just six feet away the whole time. Without the instructor having to point it out, it’s easy to realize that there is really only one team in the room. When we communicate cross-functionally, we accomplish more. We also do it more quickly. Your company will have a culture no matter what you as the leader does. 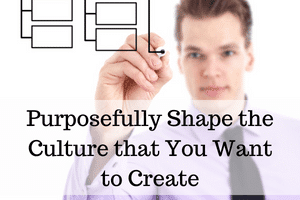 You will either have the culture that is created based on evolution as your company grows, or you can purposefully create the culture that you set out to create. Think of your team as a garden. You can just throw some seeds on the ground and walk away. When you return, though, you will likely find weeds and overgrowth. However, if you prepare the soil. If you plant good seed, nourish and water the garden. And finally, if you dispose of the occasional Morning Glory, your garden will create a great harvest for you. A common requests that we get for team events occurs when a new manager is hired to lead a group. These programs are extremely beneficial. They allow the group to see the new boss in different role than in the office. Also, they help the group build trust and camaraderie with the new leader. The big benefit, though, is that the new leader can use the activity as a springboard to begin to shape the culture. It is easier to create a team culture than to fix a culture. Today, The Leader’s Institute ® is well known for our team events. However, we’re called The Leader’s Institute because we first started as a leadership development company. In fact, we got into team building because we had groups coming through our leadership classes to develop teamwork. (By the way, our High Impact Leaders class is still very popular.) By my third year in business, we were already doing leadership training for about 50 of The Fortune 500. People loved the classes because we didn’t lecture the attendees, and we didn’t berate them with old-fashioned leadership principles. Instead, we made the classes fun. We got the attendees to laugh, and while they were laughing, they were learning. So, when we started creating team activities, it was natural to follow the same pattern. We now do these activities for over 400 of The Fortune 500. One of the real fun things that we figured out after hundreds of different events is that when you shake things up, the cream always rises to the top. About ten years ago, we began doing a lot of work with Deloitte. They began hiring us to lead charity team building programs during their on-boarding process. Interestingly, they hired us because they wanted to show these new employees how Deloitte encourages teamwork. They found an interesting additional benefit, though. As the organizers watched these young people work together under pressure, they noticed that a few of them set themselves apart as leaders of the groups. We have had similar success with summer associate programs for law firms and accounting firms as well as at big Universities like Harvard. Miscommunication in the workplace is going to happen. There is nothing that you can do that will totally eliminate it. However, if you, as the leader, continually reinforce good communication habits with your people, you will see the number of instances of miscommunication diminish. Of course, if you get a third party to reinforce these principles, you’ll get even better results. (Especially if the reinforcement is fun!) A good facilitator can reinforce communication skills that you are diligently coaching your group to use. The repetition works wonders. This process is kind of like getting a second opinion from a doctor. If two experts give you the same advice, each of the experts have reinforced credibility. You improve your credibility if the other expert is an independent 3rd party. In addition, good communication skills are developed by replacing negative communication habits with positive communication habits. The only way to get long-term behavior change in communication skills is to reinforce the skills that you want your associates to exhibit continually, over time. I had a client that was an engineering firm who hired me to come in and help them design better “short list” presentations. The company would compete with other firms for huge multi-million dollar contracts. They would submit proposals to potential clients. Then, the customer would then go through the proposals to create a “short list” of qualified firms. These candidates would then go through a screening process that often included a presentation to the customer. While, if the company did really well in this presentation, it didn’t guarantee they would receive the contract. However, if they did poorly, it would guarantee that they were eliminated. So, I delivered a series of 2-day presentation classes to the firm, and their contract closing ratio increased exponentially. Something else began to change as well, though. Morale in the workplace shot up. They also began to experience fewer instances of miscommunication and conflict. The vice president of the company had me come back and teach a similar class to the entire office. Many of these people in the later class weren’t involved in the short-list presentations at all, though. Value of the improved communication turned out to be just as, if not more, valuable to the company as the additional contracts. I was reading an article in Entrepreneur Magazine recently called The Best Way to Reward Employees. The author said, “Every company needs a strategic reward system for employees that addresses these four areas: compensation, benefits, recognition and appreciation”. Most companies spend a lot of effort, strategy, and time on the first two items in the list. However, the last two items, recognition and appreciation often get overlooked. Shared-experience activities for your group can help with both. We organized a Museum Quest for them. We ended up organizing the quest in the Missouri History Museum in St Louis. I divided the six people into two groups and made the quest a competition. When I started the Quest, I just introduced it by explaining that for the next two hours, they wouldn’t receive any emails from disgruntled coworkers, no one was going to call them and ask them to explain any processes, and the challenges that they would be asked to solve would not have dire consequences. There only job over the next couple of hours was to just have a little fun. They loved it. They went back to the office on Monday morning refreshed and with vigor. Whatever we reinforce, we get more of. Whatever we penalize, we get less of. So if you want to inspire teamwork, you have to reward it. What Do You Think about these Reasons that Team Building is a Good Investment? Let us know if you agree with our findings by leaving a comment below. Also, if you determine additional reasons, make sure and add them to your comment as well! Fantastic article! 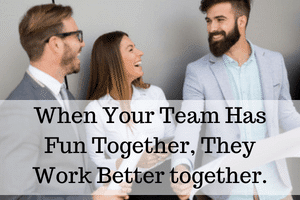 Another thing i have noticed that you haven’t mentioned is that when we link a fun team building event to what seems like a boring meeting, our groups are much more excited and motivated to attend. It breaks up the monotony of these meetings and makes it so that people remember how much fun they had and how they know their coworkers better. They look forward to these meetings every year. 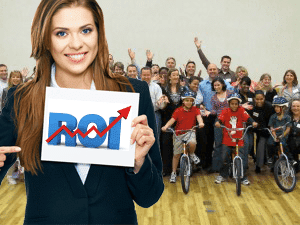 The Build-A-Bike program is a great way to give back to our community at the same time we learn the importance of communication not only in our industry but all successful businesses. Good point, Ann Marie! Thanks Liam and Abbie. Great article. I’ve seen that philanthropic team-building events like the ones mentioned above are especially effective at bringing teams together. People often end up talking about the events for months afterwards. The camaraderie they experienced in the event carries over into the workplace and can really change the overall atmosphere of the company. This article resonates with me and hits the main focal points of what I consider to be the foundation of a successful company. People need to feel appreciated for their efforts and this includes the support of their colleagues- which is often lacking. Imagine an environment where sincere gratitude exists within all four corners of the workplace- For how can people effectively form a union when in a constant state of opposition? Of course, a healthy dose of competition can go a long way if, and only if, the people share a mutual respect for each other. Team building is proven to be a profound investment in the overall success of any business, big or small. When people know that a fun, exciting opportunity lies ahead to kick back, ignore the red tape and genuinely get to know each other, the less resistance you can expect from gathering the masses. The more that you invest in your people, the bigger your return. Having a high-performance team and not investing in them is like buying a high end sports car and saving money by skipping oil changes. Bad idea. We see it over here in Europe, team building pays off.